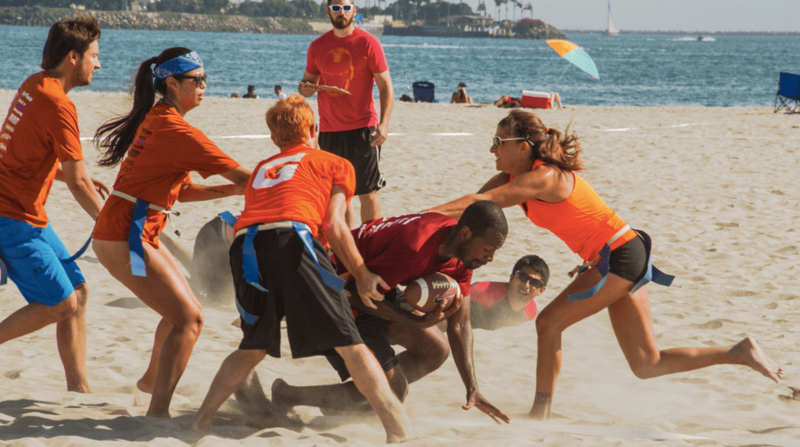 VSAC hosts Spring, Summer, and Fall Leagues for Adult Coed Flag Football in Long Beach, California. 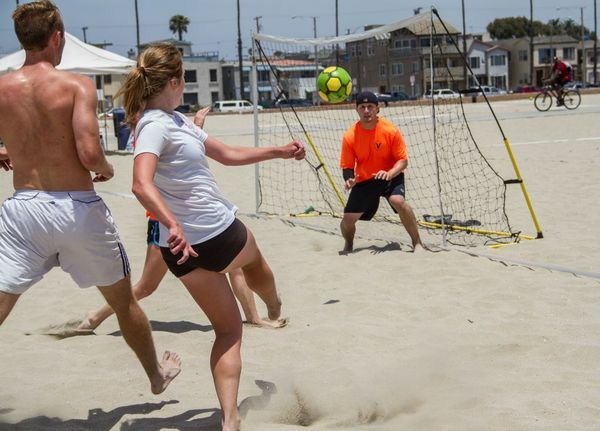 Teams play Saturday & Sunday afternoons between 1-5pm on the beach near the corner of Granada Ave & Ocean Blvd in Long Beach / Belmont Shore. The league is growing fast and always accepting new teams. Team captains play free in all Volitude Sport & Adventure Club flag football leagues. 8v8 Adult Coed Flag Football League in Long Beach. The Spring Season begins Sunday, February 8th! – Welcome New Teams, Groups of Friends, and Individuals (Free Agents)! – Awards for Touchdown, INT Leaders, MVP’s, and more! – DJ Sound System at Fields! League SOCIALS at our sponsor bar ‘Panama Joe’s on 2nd St. after games! All Skills Levels Welcome. 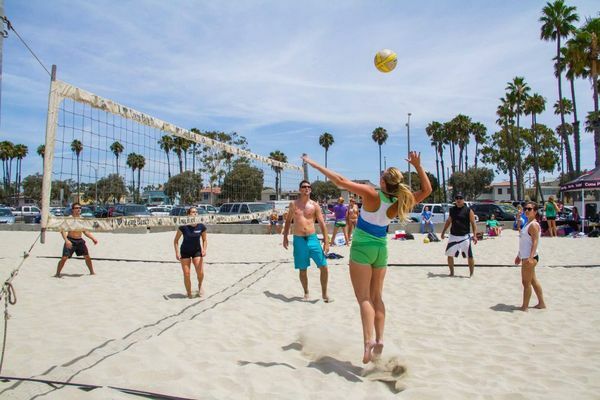 Teams play every Sunday Afternoon between 2:00pm-5:00pm on the sand @ Granada Ave & Ocean Blvd in Belmont Shore. Captains Always play FREE in VOLITUDE Beach Football. Recruit a team of at least 12 players and we’ve got you covered! Okay Socal/Nocal bloggers/readers, I need you to help me build a dodgeball league. I am currently interning for Volitude, which is basically an organization that makes fitness fun. Most of the events are done on the beach, and who hates the beach? Most of us live in OC – beach cray county for sure. 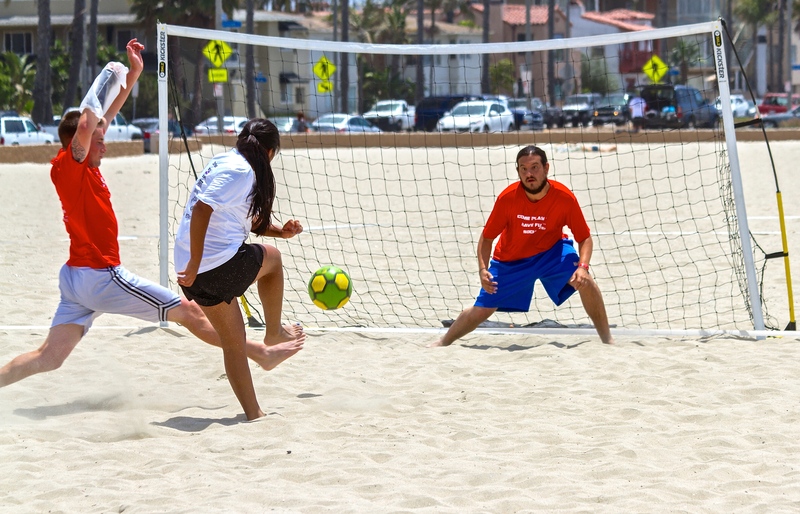 Free Open Play Practice is this Thursday from 6:30pm-8:00pm on the corner of Granada & Ocean.